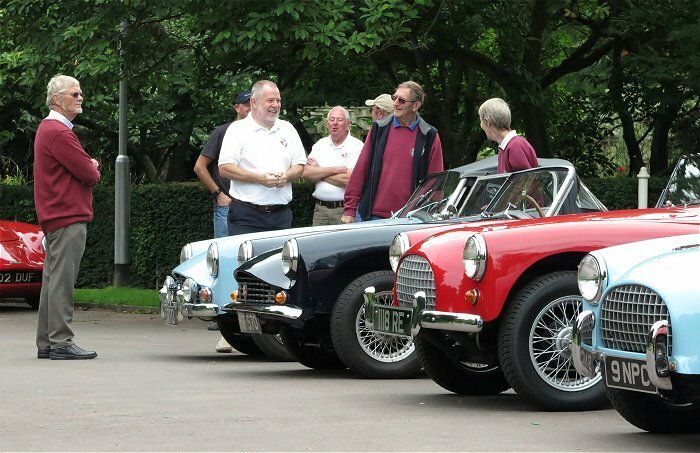 The thirteenth annual Turner Wolverhampton Reunion was held at Bantock House on 20th August, 2017. 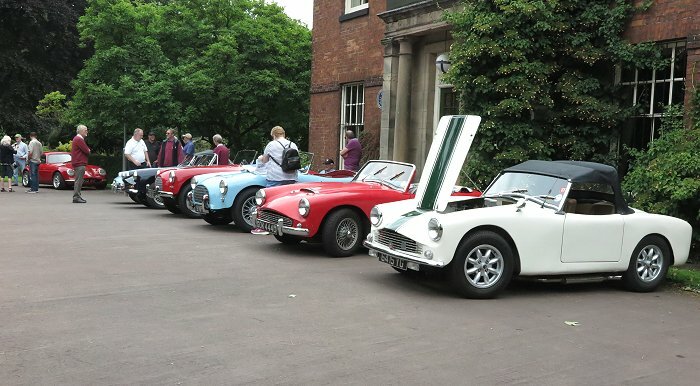 The event celebrates one of Wolverhampton’s last vehicle manufacturers, Turner Sports Cars (Wolverhampton) Limited. 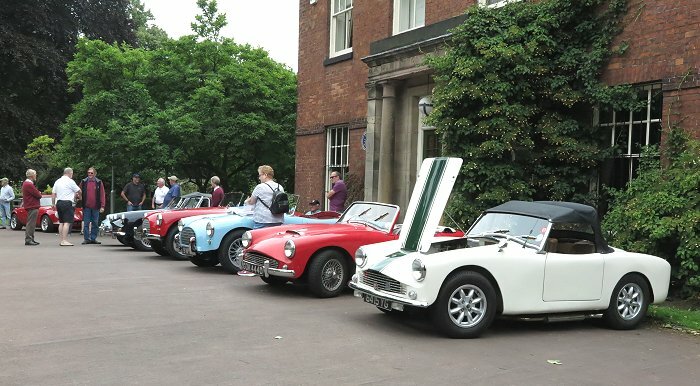 For seventy years Wolverhampton was the centre of powered vehicle manufacturing in the Black Country. Thousands of people worked in vehicle production, and also for the many component manufacturers who were essential to the industry. 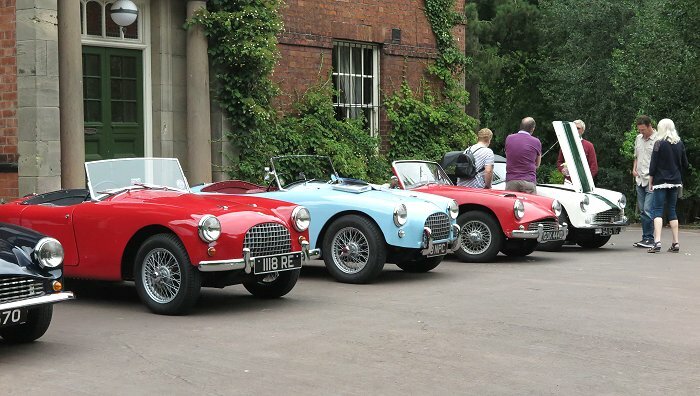 Turner Sports Cars (Wolverhampton) Limited was founded by Jack Turner, who initially worked at the Old Smithy in Seisdon, before moving to a small factory at 32 Merridale Street, Wolverhampton, in 1955, where production of Turner sports cars began. The business soon moved to larger premises at Wolverhampton's Municipal Airport. 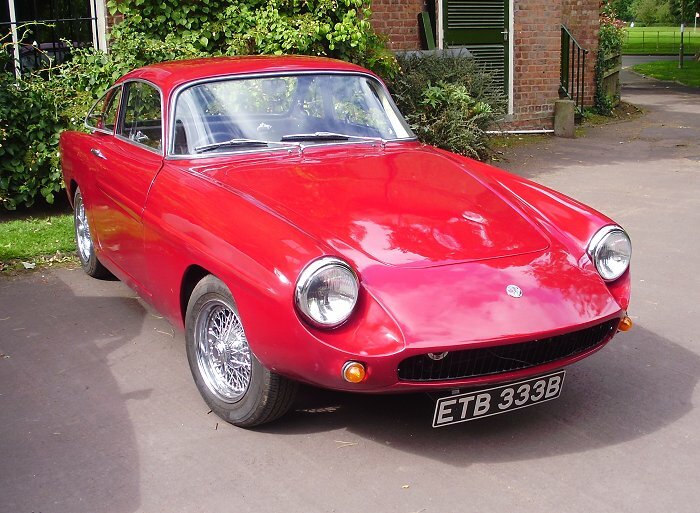 Over the next ten years several models were introduced, and between 650 to 700 Turner sports cars left the factory. 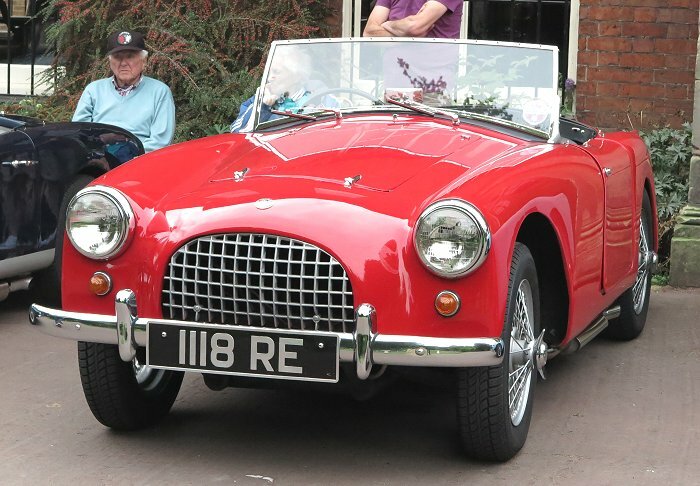 The venture came to an end when Jack Turner began to suffer from ill health, towards the end of 1965. He decided to call it a day, and so manufacturing ceased. The business went into voluntary liquidation in March 1966. 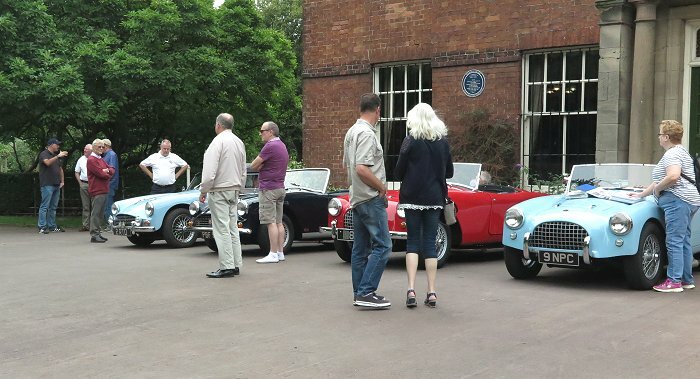 The Turner Wolverhampton Reunion is organised by Brian Shaw, who was on hand to answer visitor’s questions. 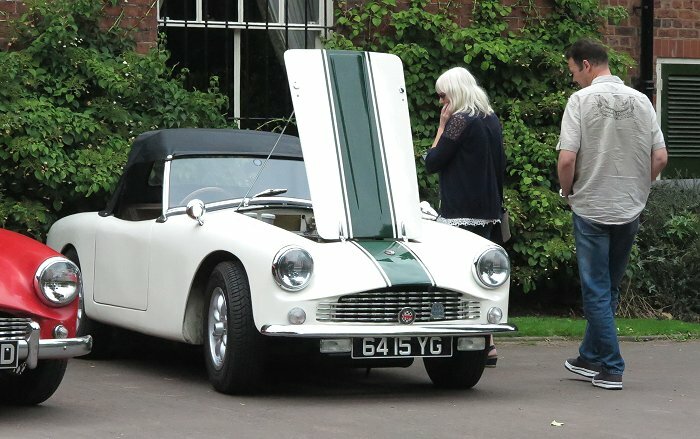 He was assisted by other Turner sports car owners including Russell Filby, the Turner Registrar; Ken Robbins, an ex-Turner employee; and Ray Jones. 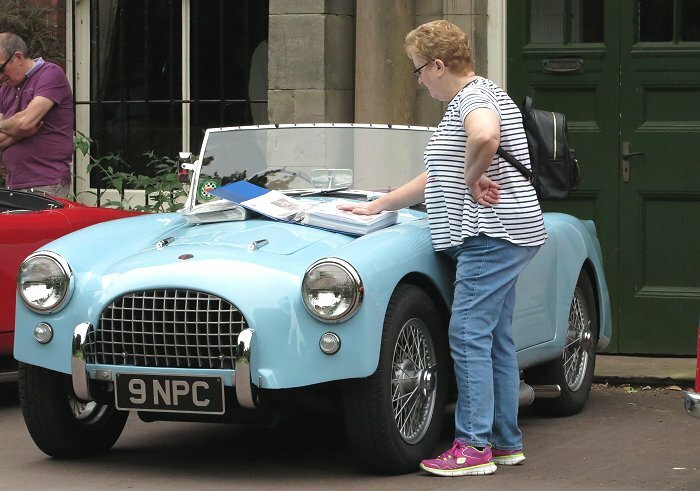 Owner Car type Year Registration No. The cars in front of the house. 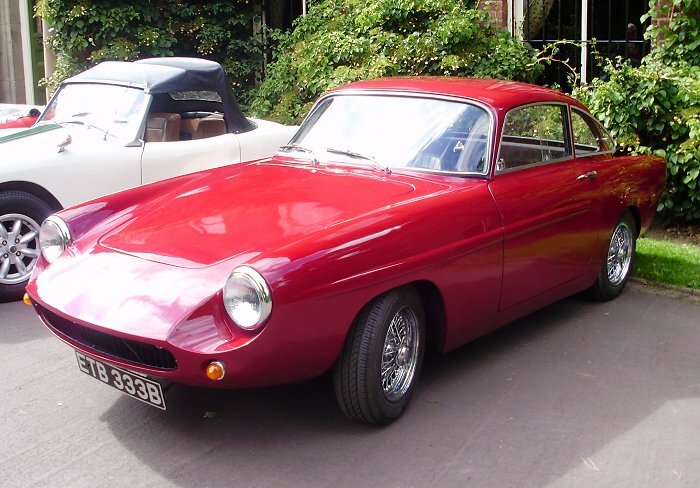 Derek Bentley's Turner Mk 1 from 1960. 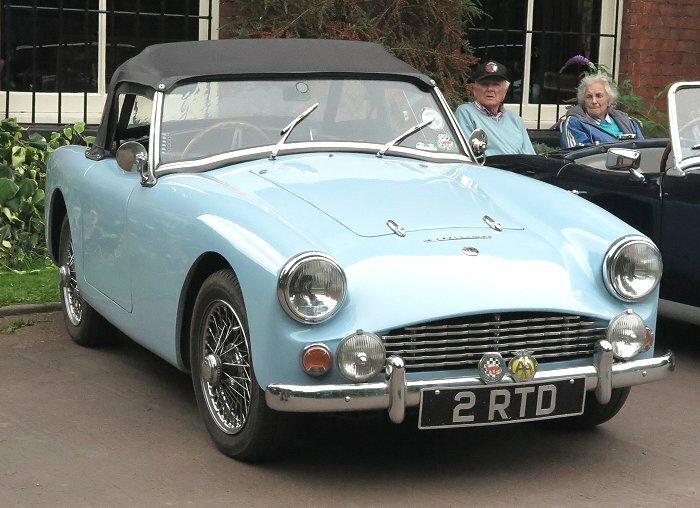 Ray Jones' Turner MK 2 from 1961. 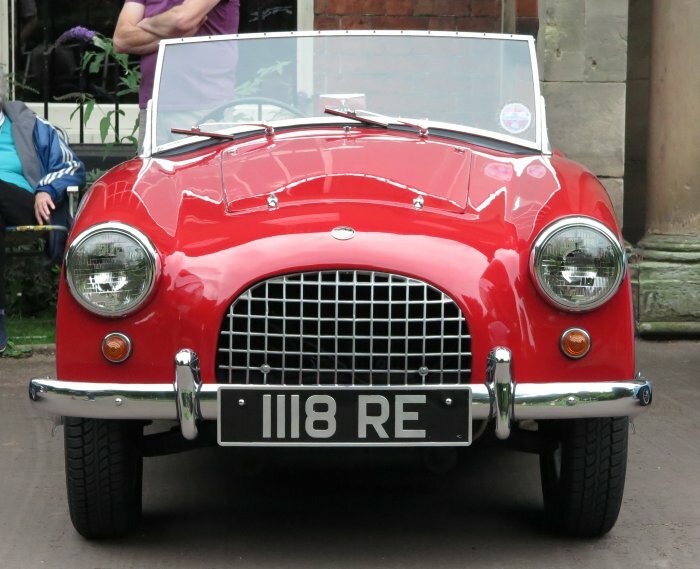 Russell Filby's 950S from 1959. 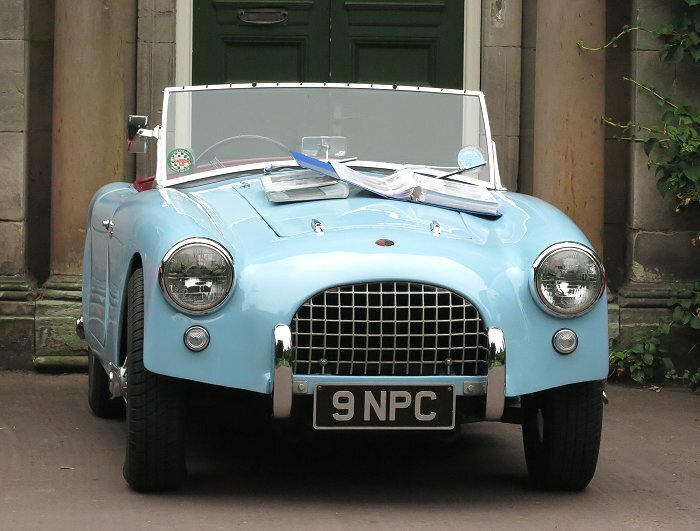 Ken Robbins' Turner 950S from 1959. 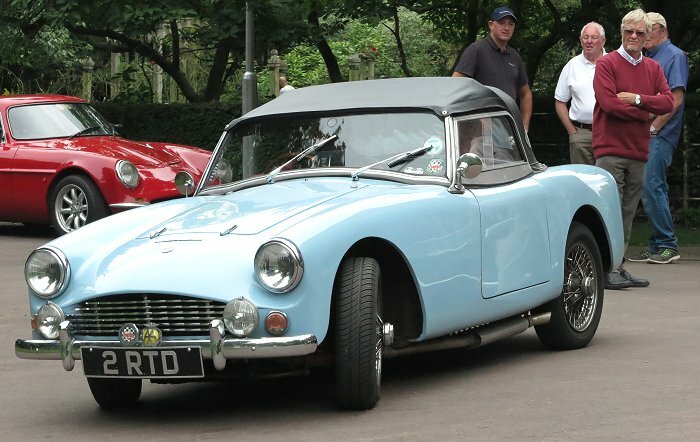 Brian Shaw's Turner Mk 3 from 1966. 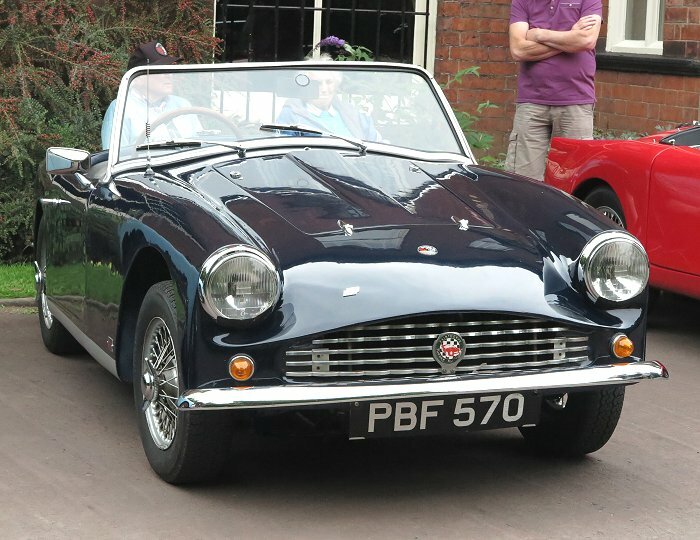 Stephen Sage's Turner Mk 2 from 1962. Graham Oxley's Turner GT9. Courtesy of Ken Robbins. Part of Brian Shaw's Turner display. Brian Shaw chats to some of the Turner enthusiasts. 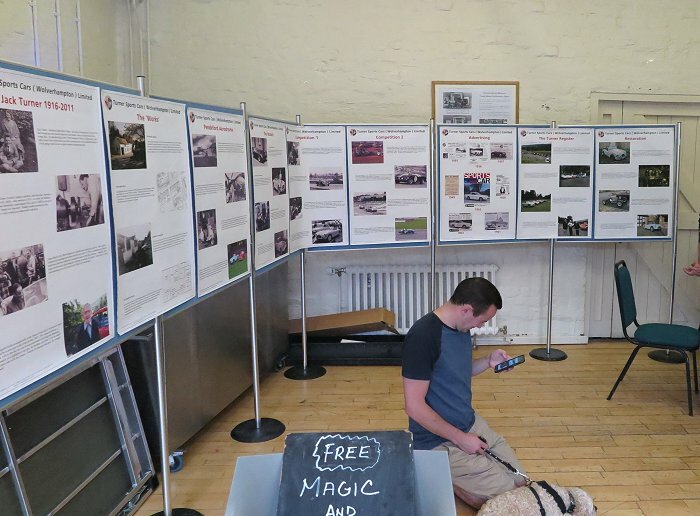 A visitor looks through Ken Robbins' Turner photos. 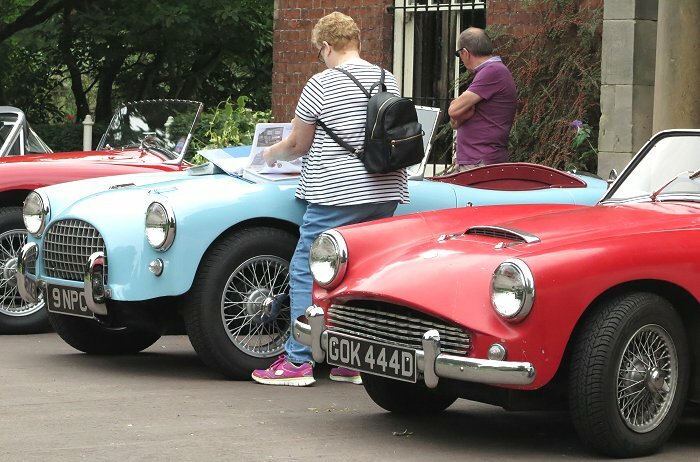 Some of the visitors admire the cars. 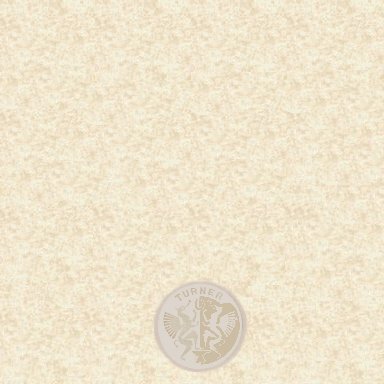 A front view of Russell Filby's 950S. 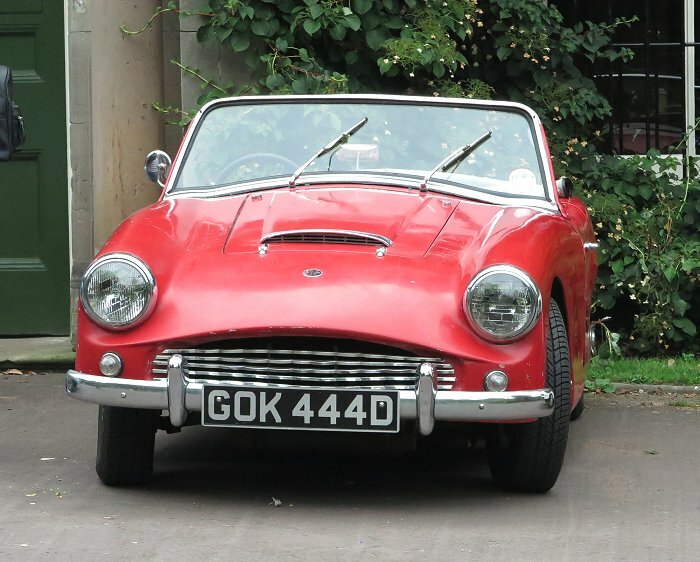 Stephen Sage's Turner Mk 2 that once belonged to the late John Cullis. Another view of Graham Oxley's Turner GT9. Courtesy of Ken Robbins. 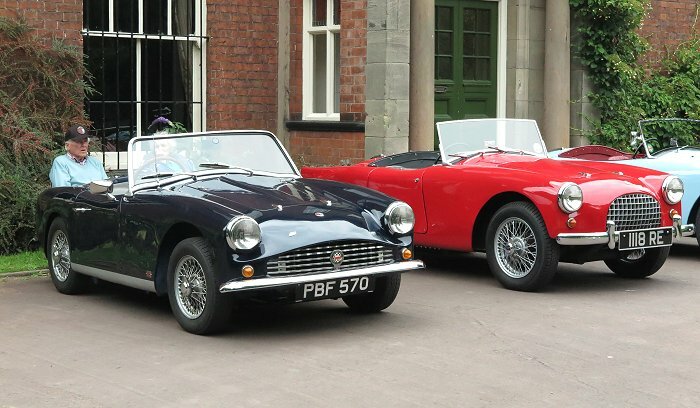 Ray Jones' Turner MK 2, and Russell Filby's 950s. 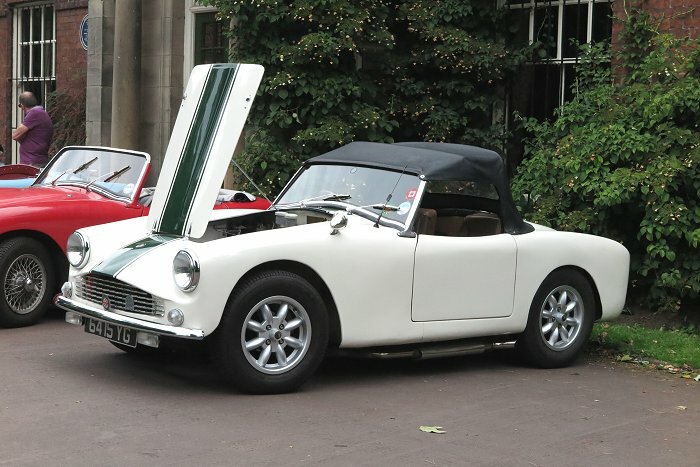 Ken Robbins' 950S and Brian Shaw's Turner MK 3. 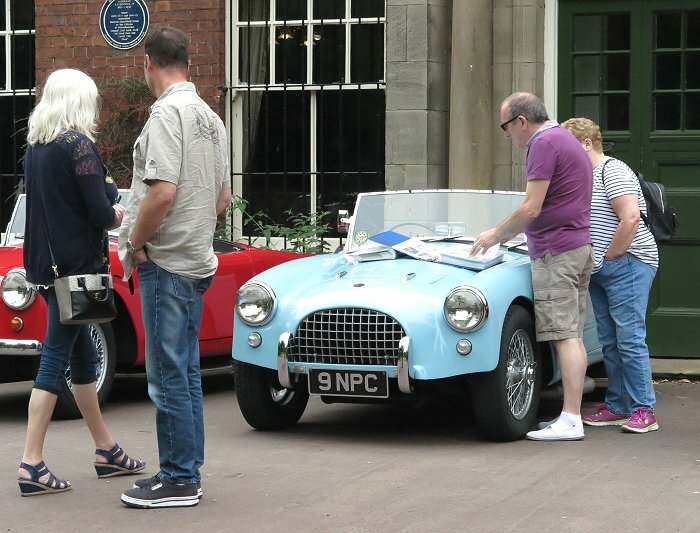 Visitors admire Ken Robbins' car. A final view of the cars. Derek Bentley heads for home at the end of an enjoyable day.